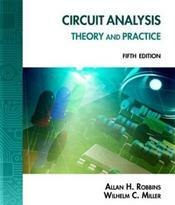 CIRCUIT ANALYSIS: THEORY AND PRACTICE, Fifth Edition, provides a thorough, engaging introduction to the theory, design, and analysis of electrical circuits. Comprehensive without being overwhelming, this reader-friendly book combines a detailed exploration of key electrical principles with an innovative, practical approach to the tools and techniques of modern circuit analysis. Coverage includes topics such as direct and alternating current, capacitance, inductance, magnetism, simple transients, transformers, Fourier series, methods of analysis, and more. Conceptual material is supported by abundant illustrations and diagrams throughout the book, as well as hundreds of step-by-step examples, thought-provoking exercises, and hands-on activities, making it easy to master and apply even complex material. Now thoroughly updated with new and revised content, illustrations, examples, and activities, the Fifth Edition also features powerful new interactive learning resources. Nearly 200 files for use in MultiSim 11 allow you to learn in a full-featured virtual workshop, complete with switches, multimeters, oscilloscopes, signal generators, and more. Designed to provide the knowledge, skills, critical thinking ability, and hands-on experience you need to confidently analyze and optimize circuits, this proven book provides ideal preparation for career success in electricity, electronics, or engineering fields.